So if you know anything about me, you will know that I am always amp’d up when it’s time for Oracle Open World. This year was quite a different experience for me. In previous years, I found myself running all across the Conference Complex attending session after session. This year however, I took a different approach. There were some key things that I was interested in and by only focusing on those, the conference was much more enjoyable. On those days that there wasn’t much going on in my areas of interest, I took that time to connect with colleagues and friends, or sit in a session to learn something new. I managed to catch most of the Key Notes without the hassle of being herded in and out of Hall D in Moscone North. Thank you #OTN for that. A small table and my iPad mini allowed me to draft a personal bio for nomination to the #ODTUG Board of Directors. That code for “Vote for Danny Bryant.” If you haven’t paid your dues, you have until September 30, 2013 to pay if you want to vote. I was also able to write an abstract for #Kscope14. Hopefully I’ll get to present there next year. Keeping my fingers crossed!! Thanks again OTN for the space. Now on to the highlights of Open World 2013. I missed the Bridge Run as there was this Archive and Purge SIG meeting that I just had to go to. As we plan to upgrade EBS from 11.5.10.2 to R12.x.x (I’m thinking 12.1.3, but wouldn’t mind 12.2.2), this becomes important from a space consideration and an upgrade speed consideration. 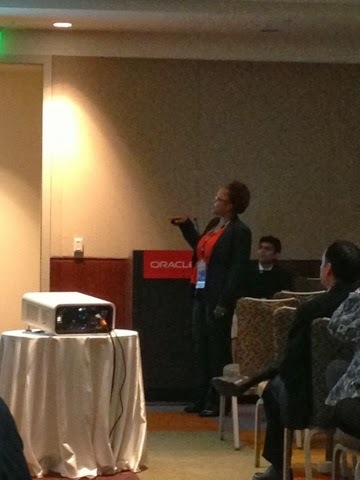 My next session was on something that is beginning to really interest me, and that is the Oracle Enterprise Manager. 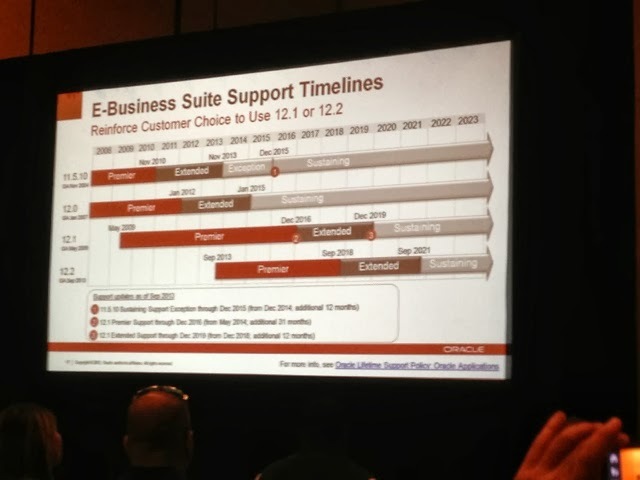 A friend of mine, @dbasolved did a great presentation about Online Patching in OEM12c. Nice one my friend. Then back to more sessions on considerations when you upgrade. Did I say when? Yes, when .. not if, but when you upgrade. The evening was uneventful until the @Pythian group showed up. Thanks @oraclenerd for the introduction to @pythiansimmons. And so ended day one. 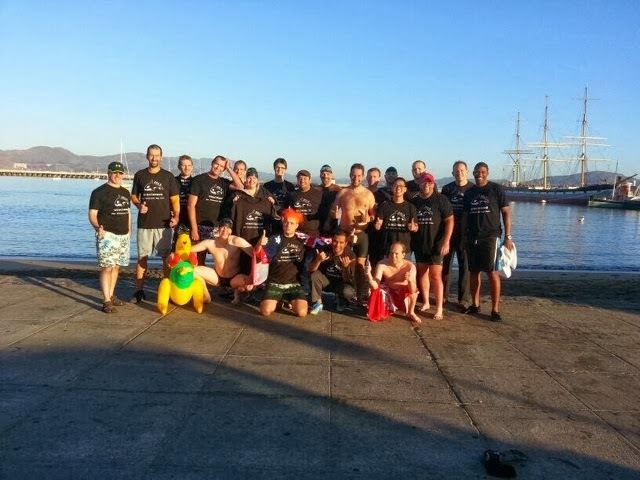 In the morning I was forced to jump into the balmy San Francisco Bay with the likes of @monty_odtug , +Yury Velikanov , +chet justice , +Jeff Smith , +Kent Graziano, +David Peake, and others. Here is the Facebook page for some pics of the festive event. That’s me at the end on the right. After that refreshing dip, back at it #OOW13 style. You guessed it, more on upgrading to EBS R12.x.x, and finally as session on performance tuning, because I have seen some SQL run really slow. I’m sure Monday ended with dinner with friends and just when all was going well, I noticed some random hair in my shower when I got back to the room. Not too happy about that, but I was tired and figured I’d handle it in the morning. Good morning W San Francisco! Housekeeping, I mean “Styles” missed the shower yesterday. Let’s not have that happen again. Thanks! Continuing where I left off on Monday, decided to be a +Jeff Smith and #SQLDev groupie, I checked out a session on Oracle SQL Developer and Database 12c. Have I mentioned how much I really like #SQLDev? Next was a very productive meeting with Rittman Mead, and followed that up with a Performance Tuning with SQL Developer Hands on Lab. Left wondering if anyone in my organization is using these tools. Did I mention that hair was still stuck to the wall in the shower. One more complaint to the W management that morning, and off to the races. Topic of the day, you guessed it, Planning and Doing your EBS Upgrade from release 11i. If you haven’t figured it out yet, this is a critical activity for my team. This slide is very telling. In any event, watched the keynote from a remote OTN location, and then hit the EBS Plug-in for OEM session. This is gonna be a nice setup. Hopefully I’ll get to put my hands on some of that. 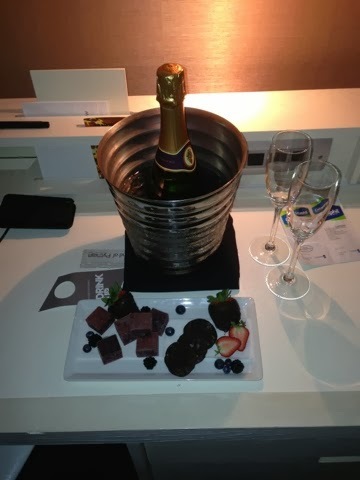 In the meantime, I get a call from the W, and yes a bunch of SPG points, $50 towards breakfast, bottle of champagne, and a nice gift will make it all okay. The biggest thing on my plate for Wednesday …. Treasure Island and Maroon 5. The other group Black Keys, I don’t know anything about. It was a lot of fun, and I got to hang out with a good friend. Dipped on the Black Keys, and took it on in. 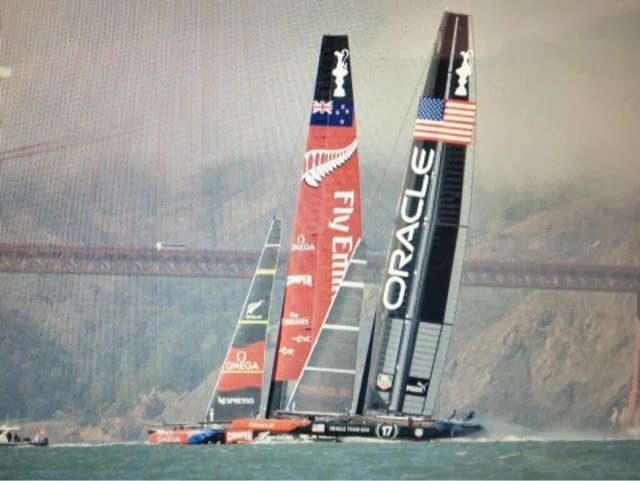 On a side note, the USA won the Americas’ Cup with an phenomenal comeback after being down 8 to 1 in a race to 9. 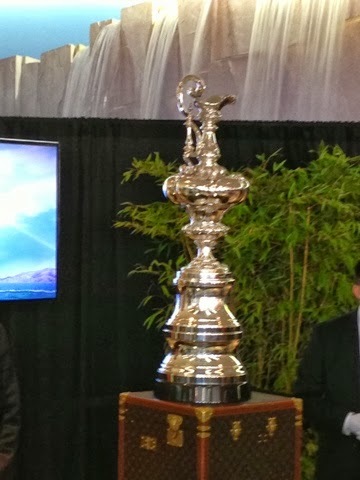 Got up early to get one of the 1000 Americas’ Cup Champions t-shirts, and take a picture with the Cup. I’ve never seen so many adults act like a bunch of kids after the Pinata breaks. I’m 6’3″ and 230 lbs. You aren’t gonna knock me over, especially for a t-shirt, so step back. Headed back to the OTN lounge to draft my #Kscope14 abstract an watch the Key Note on Unlocking Innovation and the Value of Embedded Intelligent Devices. One thought … we are closer to being the Borg that we know. 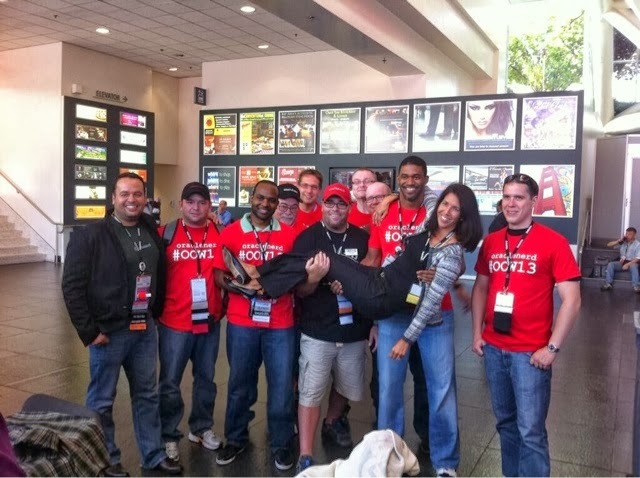 Read my post from OOW12 about Cloud and the Borg. I then had the pleasure of attending a packed house for an SQL Tuning 101 delivered by a awesome presenter, @connor_mc_d (Connor McDonald). Finally, the last presentation for me was delivered by the City of Atlanta on Best Practices for a Hyperion implementation. The presentation was received well with several questions. Pretty surprising as it was one of the last presentations on Thursday. I guess that’s it. Excited about the new contacts and connecting with old friends. Looking for the many Tweet conversations and emails that result from these encounters, and hopefully see everyone again at the next one. With that, I’m out as it is 2:20am. Next Can I run SQL Scripts via HTTP?